CB Antwuan Molden was no match for WR Hakeem Nicks. 1. If Eli Manning stopped playing football today, would he be a Hall of Famer? I don’t think so. Well, not yet at least. Eli had a phenomenal season winning his 2nd Super Bowl MVP and breaking many season and Super Bowl records in the process, but I think he needs to be more consistent in multiple seasons in order to be inducted with the greats. This is the only season in his career in which he was able to carry the Giants on his back and be that game changer. In previous seasons, he has only been mediocre. I mean, he did throw like 20 plus picks two seasons ago. If he can continue to be the difference maker for the Giants and show more consistency in his numbers, then yes, he will be a Hall of Famer regardless if he ever wins another Super Bowl or not. 2. The New England Patriots haven’t won a Super Bowl since spy gate. Would you consider their previous three titles tainted? I’ve been hearing this on the radio for the past couple of hours and I don’t believe New England’s past two Super Bowl losses to New York will hurt their legacy at all. Even though they haven’t won the big game since 2004, there have made two more Super Bowl appearances. Many other teams wouldn’t hesitate to be in that kind of position. This is a franchise that also went 16-0 in the regular season in ’07. I think they are doing something right, don’t you think? People can hate about the Patriots and spy gate all they want, but in the end it came down to execution and New England flat out won. 3. Does the loss of Super Bowl XLVI fall on Wes Welker or Tom Brady’s shoulder? This has been the story of the day as everyone continues to point the finger, but I don’t think it’s either of their faults. People criticize Brady’s throw, but he put the ball where it had to be. There were three DBs in the area and he had to make sure he threw the ball away from safety Kenny Philips. Wes just couldn’t make the play. What can I say? He’s human. But besides that, the Patriots as a team didn’t make enough play to win. I think the biggest factor was the inability for NE to force any turnovers. 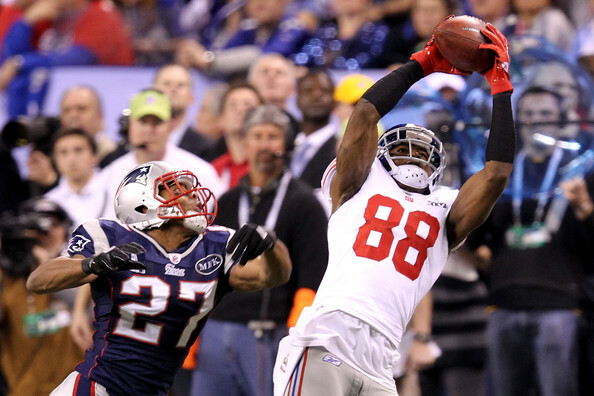 The Giants put the ball on the turf three times, but the Pats were unable to recover any of them. The ball just didn’t fall their way that is why they lost. To go out and blame Wes Welker and call him the “Bill Buckner” of football is just absurd. His stats speak for himself. 4. Who is the better Manning? Although Eli has one more ring compared to Peyton, I still don’t believe Eli is in his field yet. Peyton has done this for many of seasons. This is the first time in Eli’s career he can call himself an elite quarterback. Peyton’s been elite for years. I think the fact that Eli has one more Super Bowl than Peyton is because of his supporting cast. Until this season, Eli has never been successful of putting an entire team on his shoulders. Peyton’s been doing that for who knows how long. Just look at the Colts now. They can barley win a game without the guy. Peyton’s a type of quarterback that comes around every decade. He hasn’t had the type of rough seasons Eli has had. I still think Eli has a ways to go if he wants to be the best quarterback in the family. 5. Did Tom Brady play in his last Super Bowl? Tom still has a lot of football left, therefore no. He’s been playing at the highest level for multiple seasons and I don’t see him slowing down, barring injury. He once again put up MVP like numbers this season. He was even able to his team to the Super Bowl that lacked a defense, running game, and receivers (except Welker). If he can do that, then there’s no telling what he can do with a complete team. This being said, the Pats are already Super Bowl favorites for next season. Before Tom’s career is over, I think he will win one more matching Joe Montana and Terry Bradshaw. What are your five answers? 1) You crazy. Eli is 100% a HOF if he retired today. You watch football? The dude pulled of 2 of the best final drives in Super Bowl history. The guy just knows how to come back on the big stage. How is that not HOF worthy? 2) Fck Yes! Pats haven’t won anything since their cheating days. It’s proof that they are the Cheatriots! 3) Brady the whole way. The dude is so overrated. Even when he won Super Bowls, he had mediocre games and was bailed out by having a good team. Now that he is the centerpiece he hasn’t won squat. 5) Tom Horrific is done. You saw his rejected faced after the game. This is going to haunt him forever. He understands how hard it is to get to this game and was his last chance to win 4. F U Tom. Move over for the new EliTE QB. Manning’s career stats mightn’t be that impressive but his postseason forays now place him for the enshrinement Canton . Speaking of which , two Superbowl appearances , with two Superbowl MVP’s as his swag boosts his credentials somewhat don’t you think ? For me the hype about the Hall of Fame has now lost all credibility in the aftermath of Parcells and Chris Carter not being voted in . Are the NFL ” writers “/i> as adjudicators … anally retentive or what ? Yeah, the fact that Parcells wasn’t a shoe in is def. a head scratcher. But I don’t think Eli is a HOFer right now. Maybe down the line but right now, not yet. Yeah, hes had 2 really great playoff runs but besides that, he just has had average seasons. This is probably the first time in the regular season to where he was putting up elite QB stats. The guy has thrown 15 plus interceptions in 5 different seasons. Manning two SB appearances ….. end results two wins , two SB MVP’s . It adds credibility to his (Manning’s) resume` don’t you think ? Besides if Namath can be enshrined in the Hall of Fame with mediocre stats and little much else going for him then why this nonsense as to whether or not Eli Manning should be considered a Hall of Famer ? Let me know what you think as to my piece on the Rangers’ Josh Hamilton ? You Make Your Bed You Had Damn Well Be Sure You’re Prepared To Lay In It !